PLEASE NOTE: THIS WEBSITE IS OUT OF DATE AND NO LONGER USED BY MARKET CROSS ANTIQUES. PLEASE SEE OUR FACEBOOK PAGE FOR UP TO DATE ANNOUNCEMENTS AND STOCK. 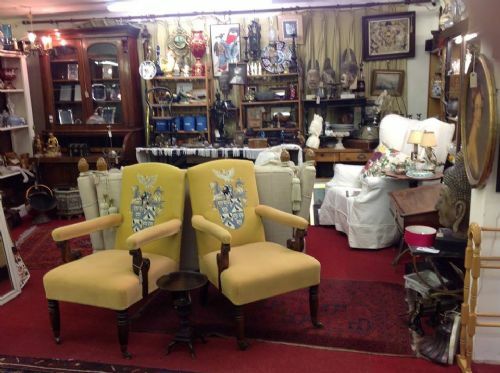 Please Visit our new site http://www.marketcrossantiques.com for current stock and info.Market Cross Antiques is situated right in the middle of the historic town of Somerton.Somerton is just 20 minutes drive from Junction 25 (Taunton) of the M5 and 5 minutes drive from the Podimore junction of the A303.Spread over 2000 sq. feet, in an open plan setting, we have over 30 dealers displaying a large range of antiques, collectables and decorative furnishings. We stock furniture, oriental rugs, jewellery, china, kitchenalia, pictures, contemporary furniture, silver, linen and lots, lots more.We pride ourselves on our large range of quality stock at sensible prices.We look forward to welcoming you -- we are open Monday to Saturday, 10 till 5p.m.Last year we featured on the BBC2 programme 'Antiques Road Trip' -- the dealers made money on all the items purchased from us -- this is where the bargains are!!! !The show made a welcome return in September 2012 and the episode was screened in January 2013, once again the dealers made money on all items purchased from us.We occasionally have cabinets or floor space available to rent. Enthusiastic dealers with exciting and varied stock please get in touch. We charge reasonable rent plus a few days work a month in the shop. OUR STOCK CHANGES DAILY, SO APOLOGIES IF THE STOCK ON THIS WEBSITE IS SLIGHTLY OUT OF DATE. TO SEE OUR LATEST STOCK VISIT THE SHOP -- we look forward to welcoming you.